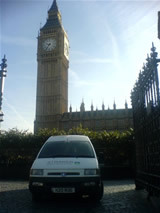 Carpet Cleaner Kingswood, Wandsworth, Wimbledon, Putney. | Straker Cleaning. Upholstery & Carpet Cleaning Surrey. Welcome to the website for Straker Cleaning, based on the South West London & Surrey border, we provide an eco friendly Cleaning service across these areas. I came into the cleaning industry in 1982 and worked for companies such as Scrubbers of Putney and Kingcome Sofas of Fulham. I went out on my own and set up Straker Cleaning in 1989 and I have now built up an extensive customer base. The properties we work in range from student digs through to family homes and from pubs / hotels on to The Archbishop of Westminster's grand residence and The Houses of Parliament. Trained by Prochem, Ashbys, Stimvak. As a former member of The Royal Military Police (TA), I can offer a secure, discreet and reliable service. We are currently MoD security vetted and cleared to Parliamentary Work Directorate levels. Being a family man myself, I appreciate the need for cleaning methods that contain no harmful elements or residues. To this end, we now use micro-splitting, detergent free, bleach free chemicals. My new business name and logo reflect the approach we take. 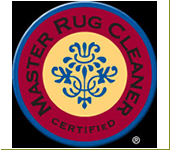 Plus..because we offer MUCH more than just clean carpets and our symbol was devised along the lines of a water droplet that has been used with 'microsplitters' and become eco friendly green. It has also been interpreted as The Earth with its sky blue and grass green.